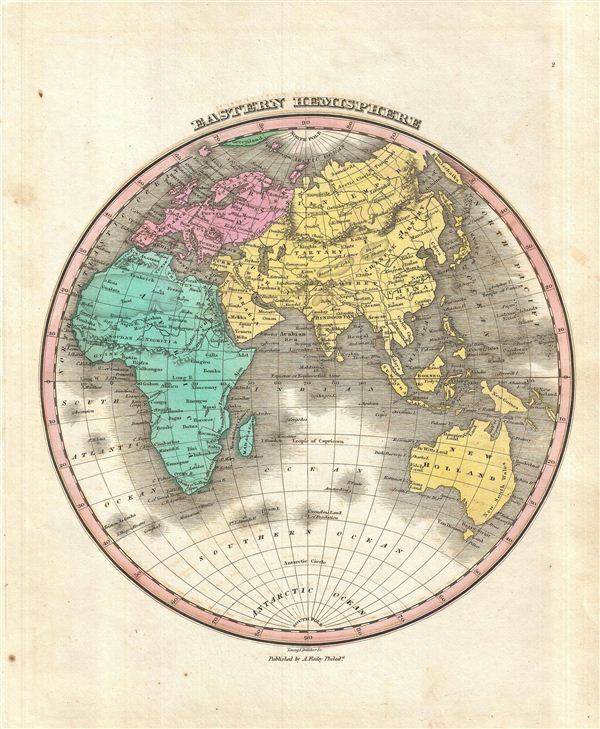 This is Finley's desirable 1827 map of the Eastern Hemisphere. Includes Africa, Europe, Asia and Australia. Identifies deserts, rivers, mountain rangers, lakes, and major cities. Color coded according to continent. Australia is included with Asia. Engraved by Young and Delleker for the 1827 edition of Anthony Finley's General Atlas. Rumsey 0285.002 (1831 edition). Phillips (Atlases) 4314, 760, 752, 6045.